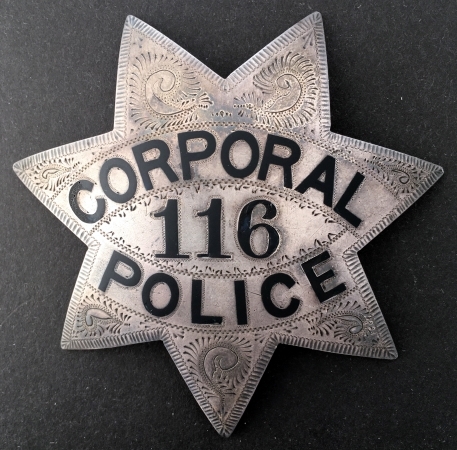 Corporal Oakland Police #116. Sterling silver, hand engraved, hallmarked Pioneer Oakland, CAL. 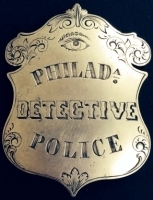 Sep. 12, 1918 Draft Registration listed as Corporal of Police East Div. 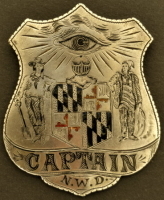 Address 1532 E. 37th St.
Peter Van Houtte in his uniform. Image courtesy of Vicki Taylor. Peter Van Houtte in his uniform posing with family. 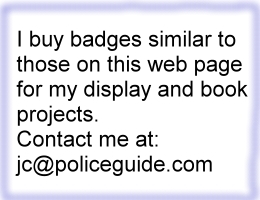 Image courtesy of Vicki Taylor.